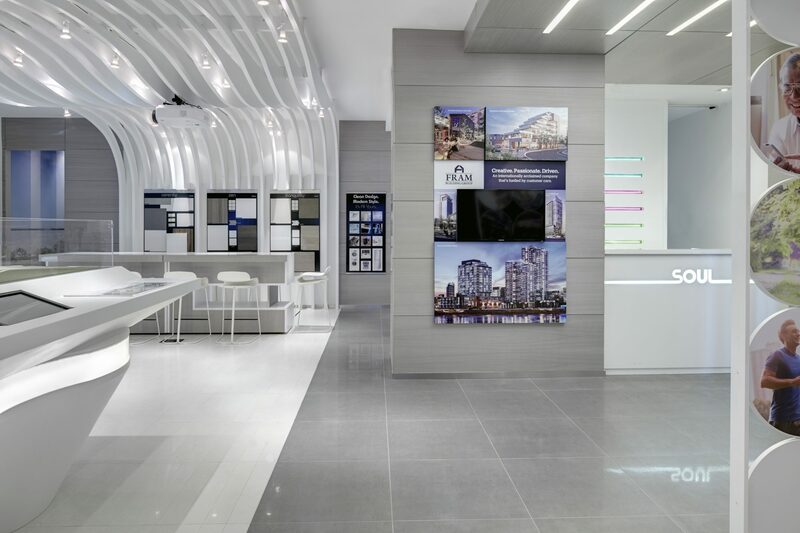 Created to appeal to a broad and varied purchaser demographic, this off-site presentation gallery has a fluid design which evokes feelings of vitality and calm. 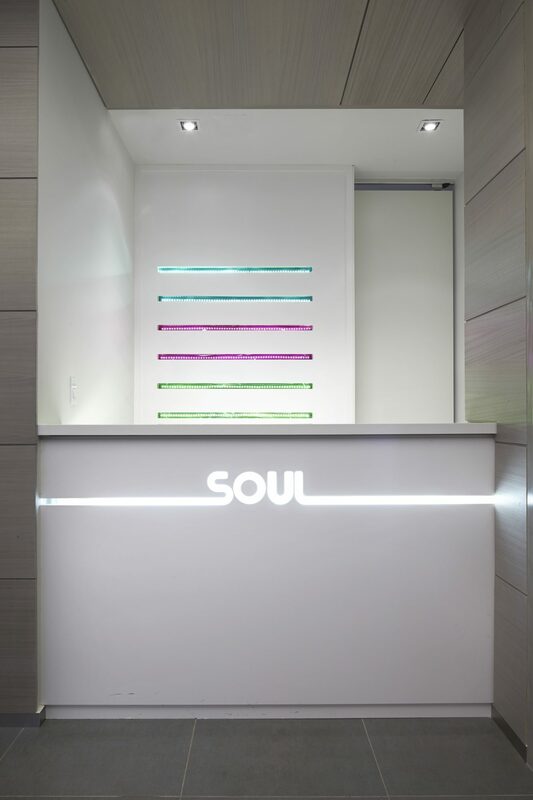 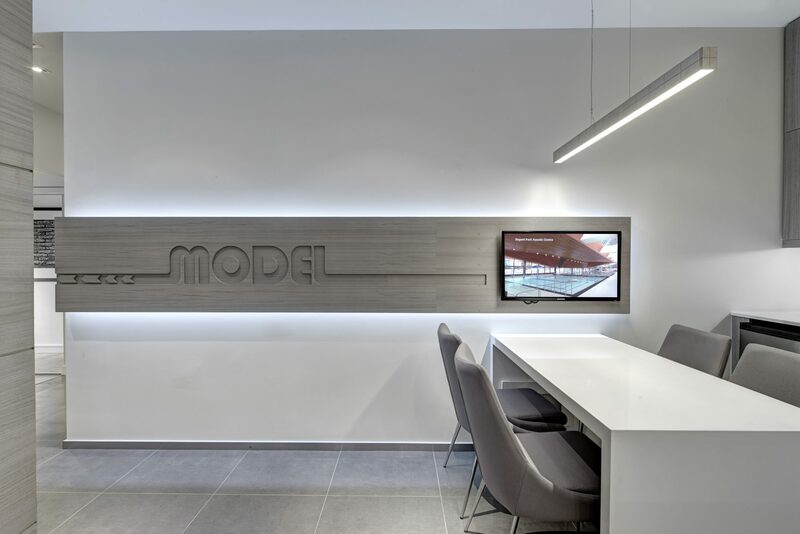 Taking cue from the marketing firm’s definition of ‘Soul’ (a person’s inner quality), light coloured finishes, indirect lighting and dynamic forms are employed throughout; contoured architectural fins trace the walls and ceiling to suggest an organic envelope while accentuating the model table and wall-to-wall projection screen. 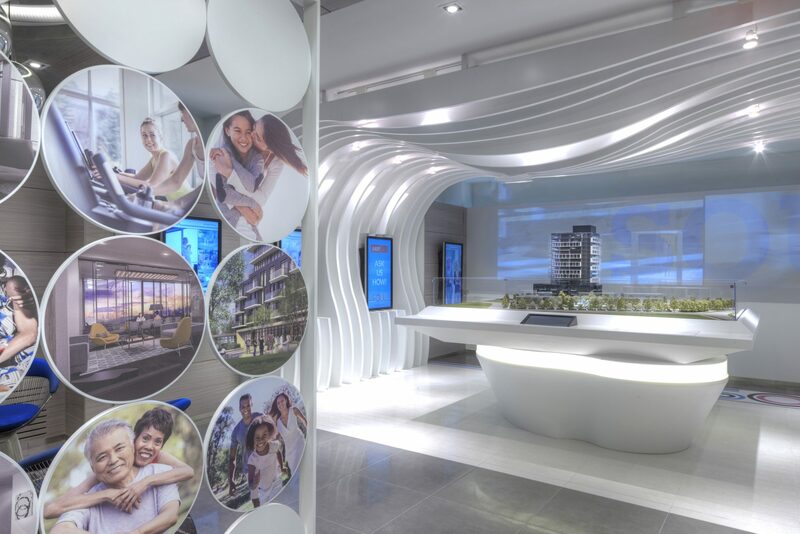 A dynamic sales environment that conjures an active and social lifestyle.